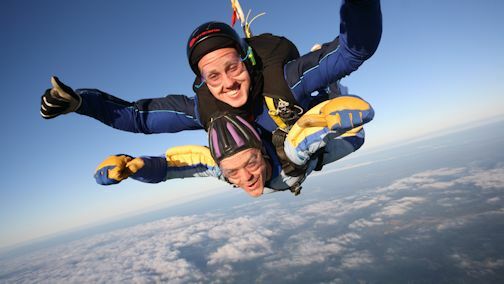 Russ succesfully completed his Sky Diving Fundraiser at Headcorn Aerodrome in Kent last June http://www.headcorn.com recently and donated £200 to ensure that our Free Chat Days continue to be held. He had to wait 9 hours for the cloud to disappear and was very nervous. He enjoyed the free fall part but hated it when the parachute came out. Our thanks go to Russ for ensuring our Free Chat Days have a healthy future.